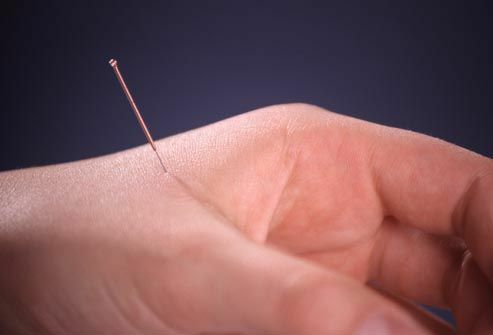 Acupuncture was tested and compared with steroid pills for the hand and arm pain of carpal tunnel syndrome. 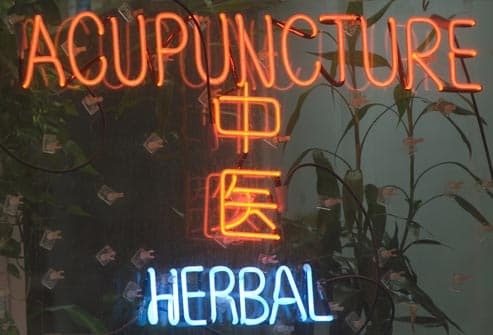 Researchers in Taiwan gave one group eight acupuncture treatments, over about a month, and those patients reported more relief, for a longer time, than the group taking medicine. 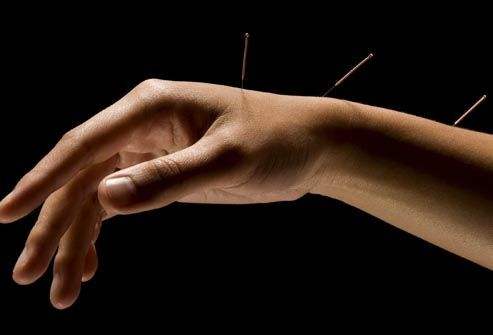 While studies like this have been promising, more evidence is still needed to confirm that acupuncture is effective for carpal tunnel syndrome. Acupuncture provides relief from the pain of tooth extraction or dental surgery, but so does fake acupuncture, some studies show. Still, dental pain is considered by many to be one of the conditions that responds to acupuncture. 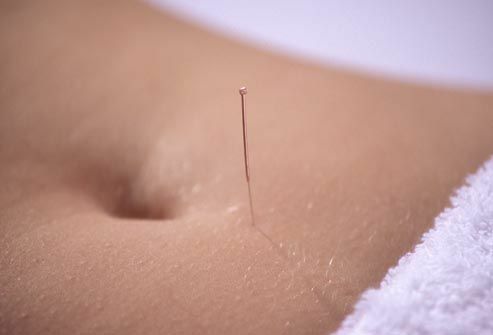 Acupuncture may provide added pain relief when it's used along with pain medicine or another therapy, such as massage. Acupuncture can reduce the need for drugs and improve the quality of life of people with chronic pain. 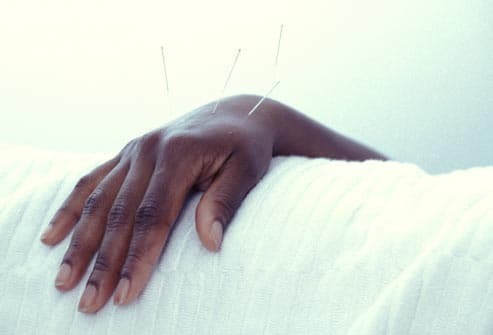 Acupuncture at the pericardium (P6) acupuncture point on the wrist can reduce the symptoms of nausea and vomiting, even after cancer drug treatments or surgery. 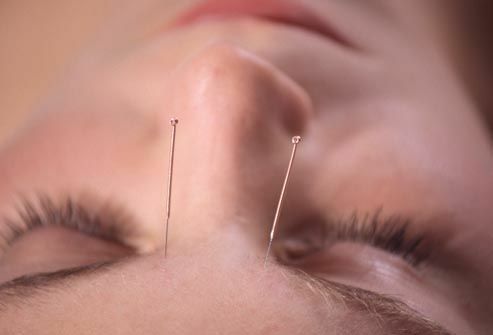 Studies compared 10 different acupuncture methods -- including needles, electrical stimulation, and acupressure -- to drugs that block nausea or vomiting and found the acupuncture treatments worked. Because acupuncture can lessen pain, nausea, and vomiting, it is sometimes used to help people cope with symptoms of cancer or chemotherapy. It also can help manage hot flashes associated with breast cancer. 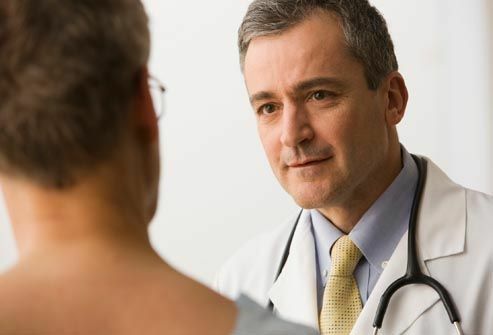 Be sure to talk to your doctor first and seek a practitioner who has experience working with cancer patients. Celebrities such as singers Celine Dion and Mariah Carey credited acupuncture -- used along with infertility treatments -- with helping them get pregnant. 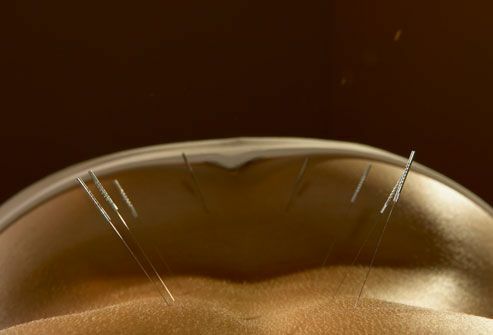 A review of medical studies backs up this view, suggesting that acupuncture may boost the effectiveness of fertility treatments. One theory holds that acupuncture helps by reducing stress and increasing blood flow to the ovaries. Acupuncture has been used for a variety of other conditions, including smoking cessation, insomnia, fatigue, depression, and allergies. 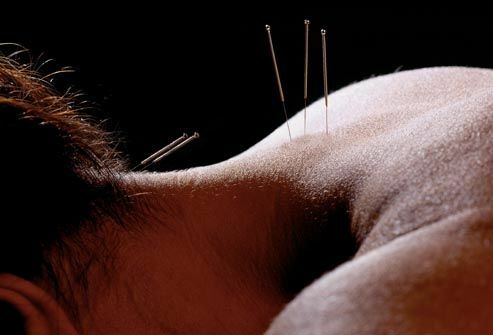 The evidence is mixed at best for some uses of acupuncture. 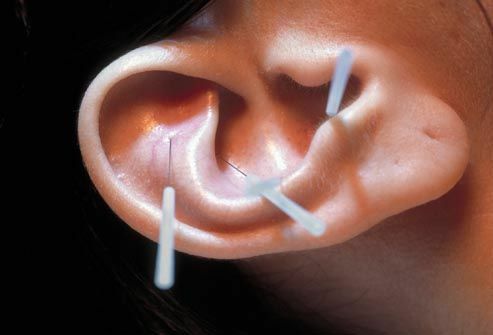 For example, acupuncture needles placed in the outer ear to help people stop smoking do not work, studies found. 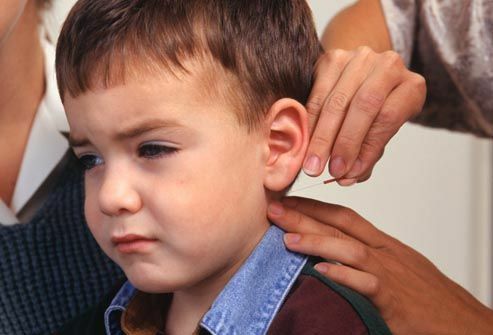 Acupuncture is generally considered to be safe for children, as long as you are using a licensed practitioner who follows recommended standards of practice. It is primarily used to control pain or nausea and vomiting after surgery or cancer drug treatment. Scientific evidence does not support the use of acupuncture to treat attention deficit hyperactivity disorder. 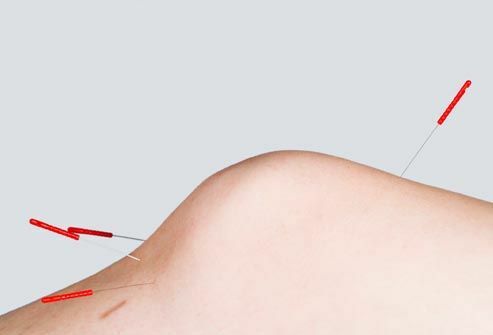 Although acupuncture is generally safe and serious problems are rare, there are some risks. Needles that are not sterile can cause infection. Make sure that your practitioner uses sterile needles that are thrown away after one use. 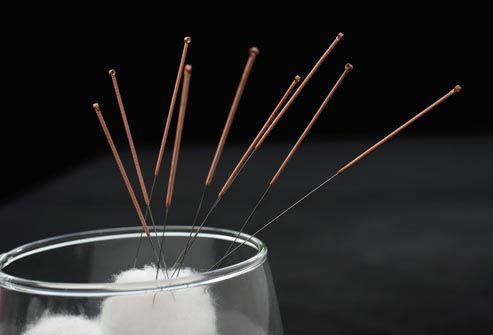 In some acupuncture points, needles inserted too deeply can puncture the lungs or gallbladder or cause problems with your blood vessels. That is why it is important to use a practitioner who is well-trained in acupuncture. 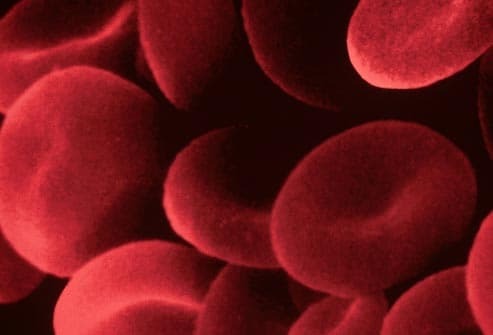 People with bleeding disorders or who take blood thinners may have increased risk of bleeding. Electrical stimulation of the needles can cause problems for people with pacemakers or other electrical devices. Pregnant women should talk with their health care provider before having acupuncture. It's important not to skip conventional medical care or rely on acupuncture alone to treat diseases or severe pain. 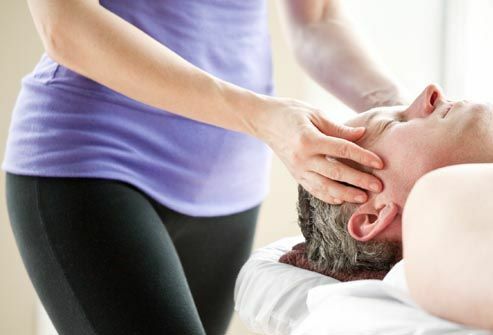 Several other therapies use a different way of stimulating the acupuncture points. 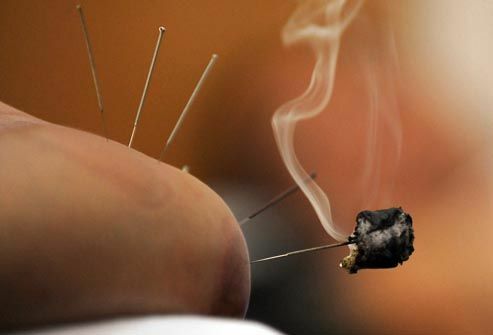 Moxibustion involves the burning of moxa, a bundle of dried mugwort and wormwood leaves, which can then be used to heat the acupuncture needles or warm the skin. 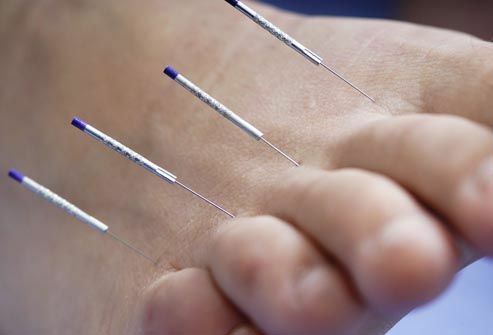 Electroacupuncture adds electrical stimulation to the needles. 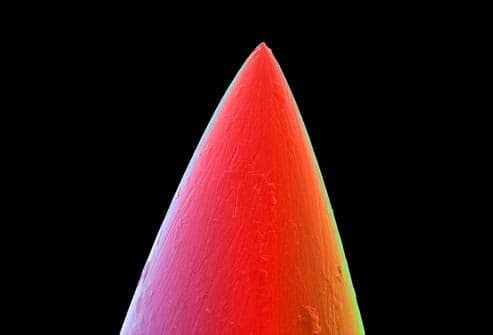 Another recent variation uses laser needles that are placed on (but not in) the skin. 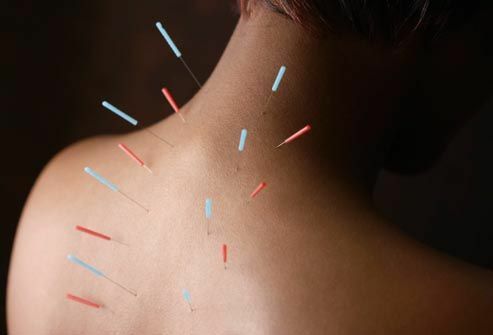 If you are afraid of needles, you may be able to get much of the same effect from acupressure. 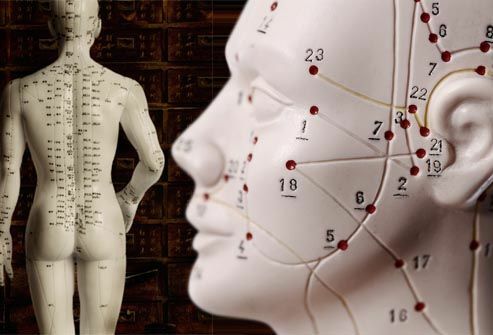 Acupressure involves pressing or massaging the acupuncture points to stimulate energy pathways. 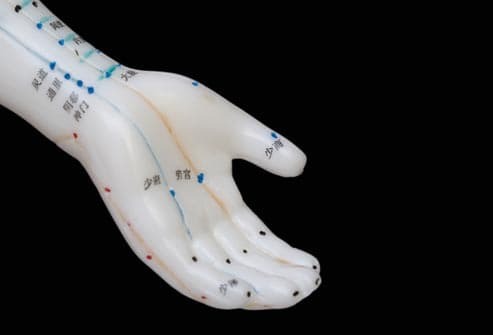 Scientific comparisons of acupressure and acupuncture are limited, but acupressure has been shown to be effective in reducing nausea and lessening labor pain. Ernst, E. Journal of Internal Medicine, February 2006. Allais, L. Cochrane Database of Systematic Reviews, January 2009. Mayhe, E. Rheumatology, May 2007. Agency for Healthcare Quality Research. Martin, D. Mayo Clinic Proceedings, June 2006. Kelly, R. American Family Physician, September 2009. Lee, A. Cochrane Database of Systematic Reviews, April 2009. Us Magazine, Nov. 3, 2010. Jindal, V. Journal of Pediatric Hematology/Oncology, June 2008. Kemper, K. Pediatrics, December 2008. Smith, C. Cochrane Database of Systematic Reviews, July 2011. Ezzo, J. Cochrane Database of Systematic Reviews, February 2006.